The following is a guest post by Jessica of Grub Street Reads. For a previous debate on the quality issue in self-publishing, see How Should We Ease “Self-Publishing Gridlock?. Let me start out by saying that I love self-published authors. I know that there are troves and troves of good self-published books on the market. I know this last part, because over the last six months I’ve been reading a lot of self-published novels (more on that later). So, please know that I’m not a malcontent or some anachronistic book lover pining for the old days where the traditional publishers pretty much kept the market under lock and key. That said, we self-publishers have a big image problem, and it’s not exactly unearned. Here’s a little numbers therapy from Smashwords, the online mecca of self-publishing. In 2009, the company reported that 6,000 books were published through Smashwords. In 2010 that number rose to 28,800, and in 2011 it skyrocketed to over 92,000. That’s more than a 200% increase in books released through Smashwords between 2009 and 2010 and over a 300% increase from 2010 to 2011. We obviously don’t have stats for 2012 yet, but my guess that the numbers are going to go the way of Willy Wonka’s glass elevator – up and through the roof. With the publishing floodgates open, many authors are finally achieving the dream of publishing their opus, or multiple opuses (or is it opie?). On one side of the coin, this is a good thing. No more offices papered with rejections from agents and publishers. No more measly royalty rates, terrible covers, and books being pulped because they didn’t get traction within the first two weeks of their launch. On the flip side, a flood is still a flood. If there are no quality standards in place, we’re going to see a lot of muck settle at the bottom, crowding out quality books, scaring away readers and gumming everything up. To some of you, this may seem like a harsh assessment. I get that. Self-publishing is all about freedom, and I don’t want to take that away. But, I suspect a lot of you may be nodding your heads, especially if you’ve stumbled upon a few choice examples of self-published books that are still in the “rough draft” stage. My business partner, Leslie Ramey, and I might just have a solution to self-publishing’s image crisis. Together, we’ve formed Grub Street Reads. We evaluate self-published novels and endorse those that meet our strict quality standard, based on the fundamental components of good storytelling. This includes basics like well-developed characters, a clear and compelling plot, strong pacing, accuracy/consistency of details and polished grammar and layout. We believe our standard can be fairly and consistently applied to any genre of fiction and creative non-fiction, and we’ve configured it to represent the basic bar that we believe every book should meet before going to market. 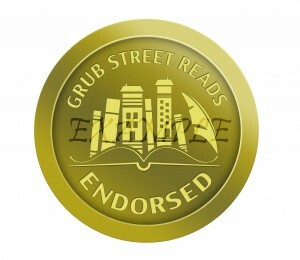 The goal of the Grub Street Reads Endorsement is to spotlight quality self-published novels so that they can get the recognition and readership that they deserve. We believe a quality standard is what the self-publishing industry needs in order to protect readers, to protect authors, and to help elevate the reputation of self-publishing. We know that we won’t convert everyone right away. That’s fine. We’re willing to work to prove ourselves, and to let the trends of the self-publishing market help us out. As the number of self-published books entering the market continues to explode, the need for a standard will only become greater as both authors and readers struggle for order. Remember our name – Grub Street Reads – you’ll be hearing a lot more from us! Let the debate begin. Do you think the self-publishing industry is in desperate need of a quality standard? Are we, Grub Street Reads, the ones to do it? We welcome respectful discussion, even if you don’t agree with us. Post your comments below and let’s see where Duolit readers are at! To learn more about our company, take a stroll down Grub Street. You can watch the kooky video on our homepage, read all about our evaluation process and endorsement standards (we’re very open about our criteria), and visit our growing library of endorsed self-published books. The last thing I want to clarify is that Grub Street Reads is a paid service. We don’t hide that. Authors pay to submit their manuscript for evaluation. Our costs depend on the length of the manuscript and help compensate our trained evaluators for their reading time. Payment does not guarantee an endorsement. The GSR Endorsement Seal is not for sale. Thanks Matt! We look forward to seeing it! I’m glad to see someone is doing something to set standards for self-publishers. Definitely needed. I’ll keep y’all in mind when I’m at the publishing stage! It’s a great idea, isn’t it, Yesenia? We’ll be following their progress, for sure. I agree that self-pubbed novels need to meet quality standards to avoid the poor image that traditional publishers hold up and say, “See, see, you don’t want to fall in with THESE people!” Unfortunately the problem doesn’t seem to be created by people who are concerned enough about the quality of their writing to submit the MS for a review, but by those who are in such a rush to get their book into the hands of the public and become millionaires that they rush (or skip) editing. I just read an eBook that was littered with mistakes – a whole chapter was MISSING! Just a title and place keeper of “edit this text”. How careless is that! And this book and received favorable reviews on the book seller sites: friends and family no doubt. I guess the only way to fight this is through reviews. If they can spin a good yarn, praise them for that, but beat them up a bit for publishing unedited work. Doug, you make some great points. As you mentioned, reviews on Amazon and other online publishers are not always accurate, because an author can just ask their friends and family to leave stellar 5-star reviews. This makes it difficult for readers to easily distinguish quality books from the “rough drafts” as we like to call them at GSR. This is one of the reason Leslie and I created Grub Street Reads. We want to establish ourselves as an objective third party that readers can trust (which will give our seals value for our endorsed authors). Since I coach authors how to get on TV and most of my clients are self-published authors, I support what you are doing. Good luck. Edward Smith. Sort of like the USDA’s organic labels? I like it. As long as it’s voluntary. I see it as a value-added or marketing plus. That’s a great way to think of it, Linda — as a voluntary way to indicate quality! While I completely agree with you about the problem of poor quality books being published in droves, I’m not convinced that a paid evaluation service is the way to go. From the perspective of an author, I’d want a much clearer sense of the real reach and clout of any particular service. The writer is essentially paying for the chance to have a book evaluated and potentially promoted. How much is the external validation worth in the marketplace versus the value of impartial reviews? Given that the vast majority of indie writers will make the equivalent of coffee money from their books, it’s tough to justify spending even a modest fee for having the work vetted, without knowing if any of that investment will be recouped in sales. I do believe in investing in my books and my career and the money I was able to pay up front went toward freelance editing, rather than promotion. My hope is that quality books will eventually be discovered by readers and the first drafts will sink into obscurity. I agree with you, Lisa. Like Jennie mentioned below, the sheer scale involved and the massive number of self-pubbed books make any single standard difficult to establish. I do think, however, that anything that can be done to move in the direction of quality is a plus. At the end of the day, each individual author must take responsibility for the quality of their work, build their fanbase and show off their awesomeness. That massive number of books makes it difficult for readers to stumble upon quality work, so authors must take the reins and build a following from the ground up! I’ve been outspoken for a while about a need for something to take the gatekeeping role in the self-publishing ecosystem for just this reason. Yet the very diversity and low barriers to entry inherent in self-publishing today also make it unlikely there will ever be a single true source of vetting. Individual services will appear, such as GSR, but I don’t know that there will ever be a single one that becomes the gold standard to bestow upon a self-published book. Likewise with book blogging and review sites, mostly because of the sheer scale required. Still, as things evolve I’m all for people who want to raise the quality bar to try out ideas and see what sticks. I’m sure something will. You’re right, Jennie, a single gold standard for self-published books will be difficult because of the scale of things, but I figure the more we can move toward quality, the better? If we can get authors to think before publishing, if nothing else, it’s a step in the right direction. Oh, definitely! I’m a newspaper editor, and there’s a common mentality within reporters and editors when we’re stuck on a story on deadline – it’s only going to be there for a day before the next edition comes out, so sometimes “good enough” is fine. Too many self-publishers seem to be treating books like the newspaper and settling for “good enough” even if that isn’t very good. I think self publishing could benefit from some form of quality control, but the question is how to do it? 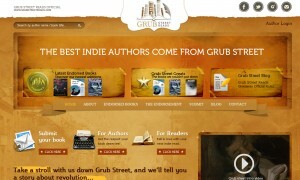 Grub Street is a nice idea and I’m sure there are authors who wouldn’t mind paying. But is it foolproof? Or will a person’s own likes and dislikes skew results? What one says is quality another disagrees. I’m not saying that will happen, but it is something to keep aware of. Maybe between what Grub Street is trying to do, reviews and teaching people not to rush we can help create quality books. Rushing is, I think, the biggest problem in self-publishing. Like I mentioned to Jennie below, the more we can encourage authors to stop and think before publishing, the better! This is something we definitely want to cover in future posts. role. Will you succeed? It depends. There are a lot of businesses out there just looking to cash in on the SP industry, so any legitimate operation has stigma of their own to circumvent…especially when they are offering services for pay. Readers will have to feel your ratings/reviews are accurate upon reading themselves, and authors you choose to endorse will need to see the value in your service. I think this is a really interesting idea and there have been some great points raised below. I was really excited when I took a look at Grub Street Reads site, until I noticed that they don’t take books for readers any younger than ‘Young Adult’. What about children’s books? Middle grade fiction? Don’t these need quality control too? I have worked on both sides of the market and they both have pros and cons. Traditional publishing can be great at spreading books across the world, getting the author more travel time, and even giving more credibility to the author, plus with traditional you will never find as many mistakes in a book because they will always be edited. Self-publishing can be great because it lets books that are currently not a genre (like books that fall between young adult and middle grade, or New Adult (between YA and adult), it lets the author have that full control. But at the same time I see so many self-published books that I KNOW would be 5 stars in my book if only they took more time to edit them properly and if they had a good content editor on their side which they would get from traditional publishing. I like the idea of setting a standard for self-published books. I’m not sure if this is the way to go as some people mentioned their are so many different opinions it is hard to set a base line. But it is a start. I remember reading a copy of Stone Cold as a class reader (it used to be an exam text here in the UK). I found an error on nearly every page. This was a traditionally published, award winning book with glaringly obvious typos. It’s not the only traditionally published book that suffers from the same problem. There are also traditionally published books that have poor plot or character development. However, no one is suggesting that traditionally published books should have to have a seal of endorsement. I agree that too many indie books are being released that haven’t been properly edited and proofread. Often, this is for financial reasons, but it obviously gives indie authors a bad reputation. However, is that fair? Typos in traditionally published books don’t give all traditionally published books a bad reputation, do they? Whilst I admire what you’re trying to do, I wonder what clout your endorsement will actually have in the market. Unless the vast majority of indie authors use (and publicise) your endorsement service, it will not gain a name for itself amongst readers. Also, as someone else has mentioned in a previous comment, if you are judging books on content as well as proofreading, there is bound to be an element of personal preference involved. Writing is an art form after all. Most indie authors don’t have money to throw around. If they’ve already paid for professional editing, proofreading and cover design services, they would be understandably wary about paying out for another service without knowing how beneficial it’s really going to be. The traditional publish industry was also a paid standard review service, just not in the same way. Did you pay to go to enough conferences where you might score an agent? Did you tone down your negotiations and take a smaller piece of a pie to appease a publisher? Then there are awards. Competitions you had to pay to enter with the hope of winning. That award is someone saying this is a quality work and yes, you had to pay for that opportunity. The reason most first time authors go traditional publish (when self-publish is an option) is because they want someone else to feed their pride. For an anointed to say, “Yes, you are good.” Self publishers do all the work of publishing project management without the ego stroking attained from the industry aristocracy. For those of us who pay editors, graphic designers, and buy promotional materials, we’d love some sort of seal saying we’re not like the people who write because they want to be listened to…to have that validation. Writers need validation, authors validate themselves. In marketing however, the former has condemned the latter and we need to figure out how to fix that. Bottom line is without a stick stuck in the sand to measure the sea by, determining high tide is only a matter of perspective and opinion. The only thing more plentiful in this world than opinions is air. I, for one, am sick of hot air. Yes I do agree with you that there is a lot of good and bad self published authors out there. And it is not needed at all for the rest who approach this as a real job (even thou we might have day jobs) because sometimes what puts you off a book is the little things. Things that Betta readers can point out and fix and if you scout the internet you can find many people that are willing to read your book for you. But that is another topic. Plus then it puts you under pressure . Do you write a bad review? Dont you write an review at all?